In honour of Science Literacy Week, the Visual Arts Collection is highlighting the work of physician, physical education pioneer, and artist Robert Tait McKenzie (1867-1938). While a student at McGill, McKenzie (B.A. 1889, M.D. 1892) made a name for himself as an accomplished athlete. After graduating, he joined the Faculty of Medicine as a lecturer and demonstrator in anatomy. His dedication to athletics would become key to his pedagogical project, which advocated for the inclusion of physical education as a science in McGill’s course curriculum. Fig. 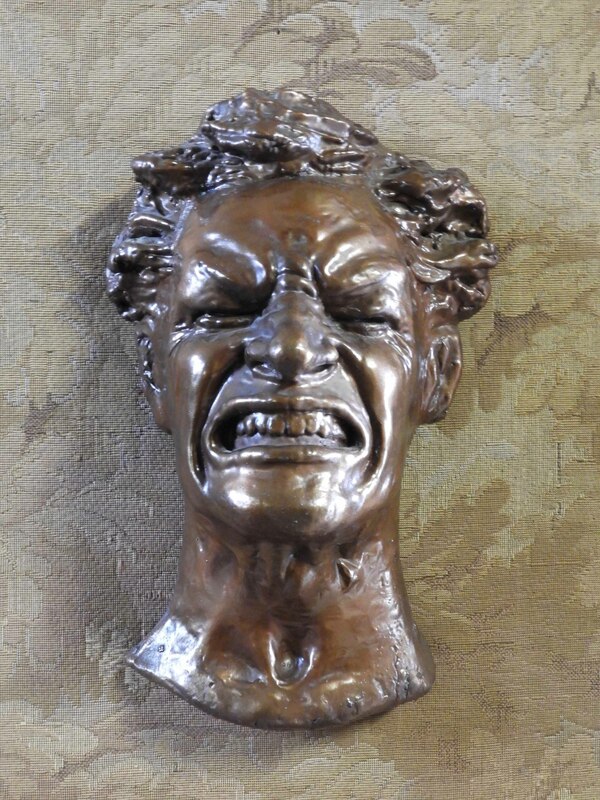 1: R. Tait McKenzie, Four Masks of Expression, 1899, sculpted plaster with bronze paint. McGill Visual Arts Collection 1987-043. 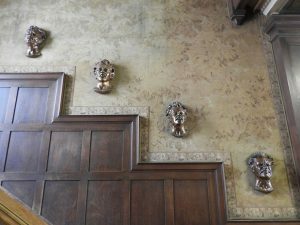 On view at Davis House. 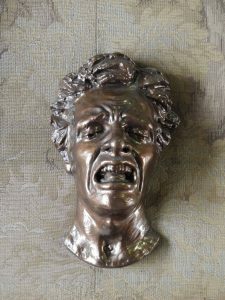 During his early career at McGill, McKenzie also began sculpting the human form as way to create tangible teaching tools. From this, McKenzie’s passion for and talent in sculpture blossomed; he would go on to create hundreds of sculptures, many of which are now held in museums and public art collections worldwide, including here at McGill’s Visual Arts Collection. 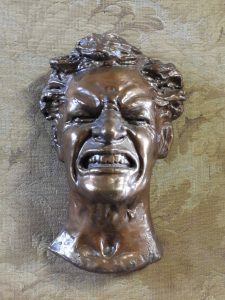 Sculpted in 1899, The Four Masks of Expression (Fig. 1) are now on display at Davis House, home to the Faculty of Medicine’s School of Physical and Occupational Therapy. 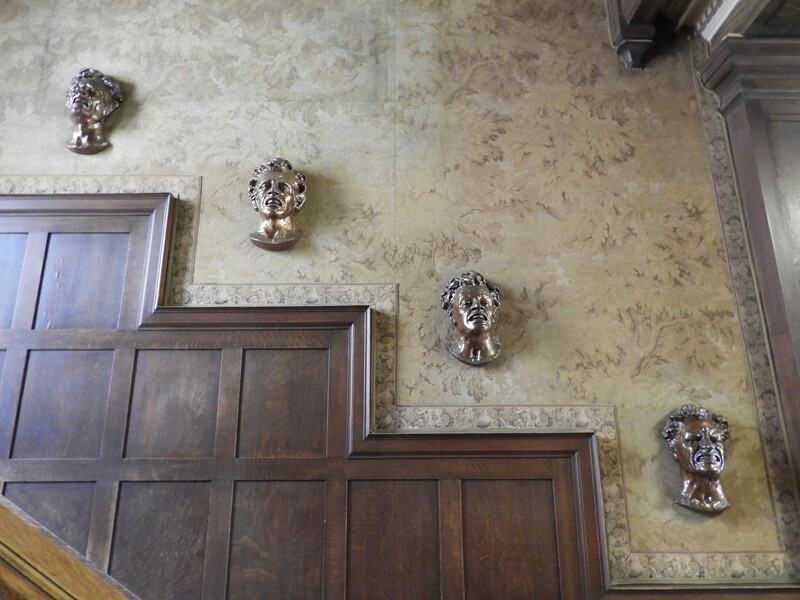 McKenzie sculpted the masks in plaster, later painting them to look like bronze. The four masks demonstrate the involuntary effects on the athlete of the various stages of stress, progressing from Effort (Fig. 2) through Breathlessness (Fig. 3), Fatigue (Fig. 4), and, finally, Exhaustion (Fig. 5) –sentiments that will be familiar to all University students, not just athletes! The masks were exhibited at the McMaster Museum of Art in 1987 as part of “Art in Medicine: Medical Illustration 1520-1987,” indicating their significance in Canadian medical and art history. Writing about the masks, Major James F. Leys notes that “these characteristics expressions are universal because they are influenced by involuntary muscles common to us all.” Through his sculpture, R. Tait McKenzie was able to bridge the gap between science art to communicate a universal message. The Falcon (Fig. 6) is another of the notable sculptures by R. Tait McKenzie in the McGill Visual Arts Collection. 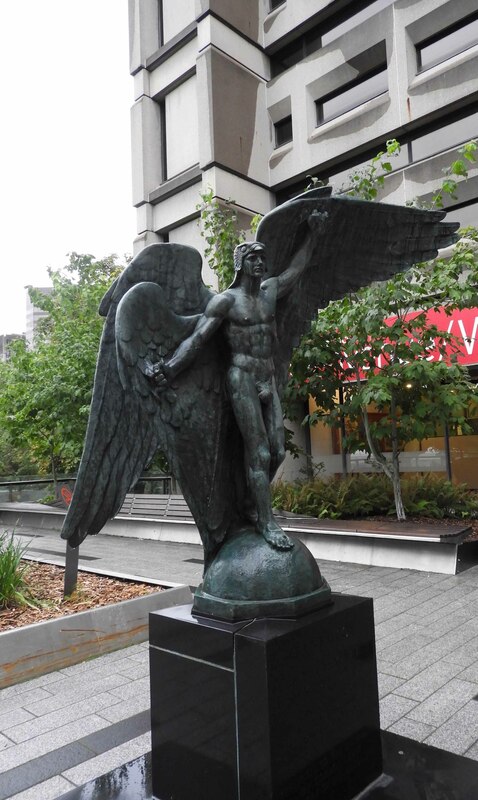 Sculpted in 1934 and located outside of the McLennan Library building, this work is just one of many highlights on our weekly Public Art tour. Brothers of the Wind (1925), also by McKenzie, graces the entrance of the Currie Gymnasium (Fig. 7). All of these sculptures transcend simple medical models, speaking to us more broadly and meaningfully about community, commonality, and comradery. Like R. Tait McKenzie, the McGill Visual Arts Collection is committed to bridging the gap between disciplines, displaying individual artworks and creating curated spaces in all of the University’s schools and faculties and across all of its campuses (Downtown, Macdonald, and Gault). Major James F. Leys, C.M., C.D., “Tait McKenzie and The Mill of Kintail,” in Exploring Our Heritage: The Ottawa Valley Experience: Proceedings: A Heritage Festival, ed. Vrenia Ivonoffski and SandraCampbell (Arnprior: Arnprior and District Historical Society, 1980), 124. Fig. 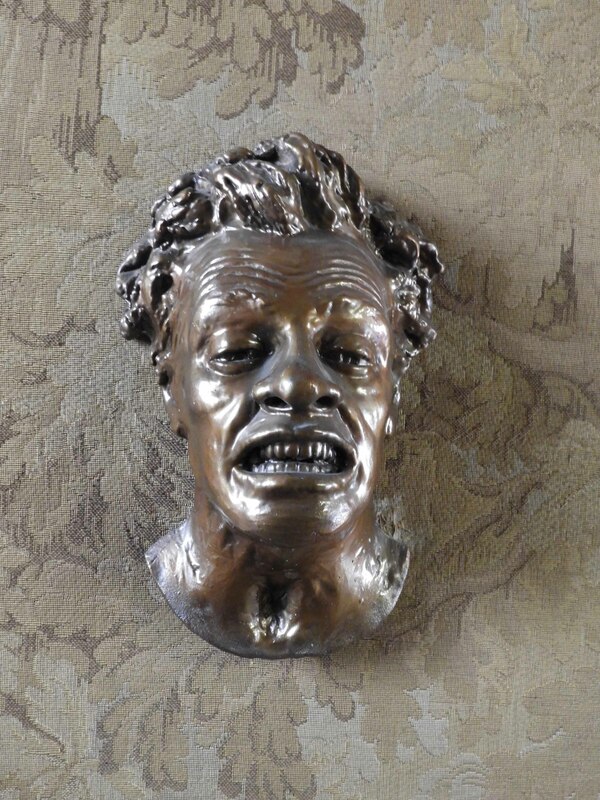 2: R. Tait McKenzie, “Effort,” from the Four Masks of Expression, 1899. Fig. 3: R. Tait McKenzie, “Breathlessness,” from the Four Masks of Expression, 1899. Fig. 4: R. Tait McKenzie, “Fatigue,” from the Four Masks of Expression, 1899. Fig. 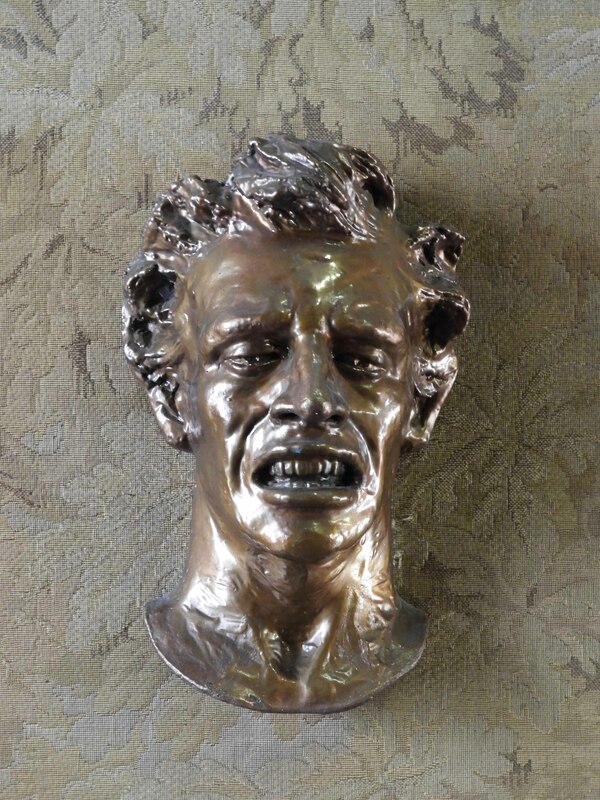 5: R. Tait McKenzie, “Exhaustion,” from the Four Masks of Expression, 1899. Fig. 6: R. Tait McKenzie, The Falcon, 1934, bronze. Presented to the University by Gordon Lewis in memory of Eva Maud Lewis. McGill Visual Arts Collection 1975-025. On view on the McLennan-Redpath Terrace. Fig. 7: R. Tait McKenzie (1867-1938), Brothers of the Wind, 1925, plaster copy of an original bronze frieze. Gift of the artist. McGill Visual Arts Collection 1986-014. On view at the Currie Gymnasium.